Jambul is also called Jamun in India. In English, it is called by various names like, black plum, java plum, malabar plum, jambolan etc. The Jamun tree is native to India, Nepal, Pakistan, Sri Lanka, Bangladesh and Indonesia. However it is now being grown in Surinam, Trinidad and Tobago. It was introduced in Florida, USA in 1911. It is an evergreen tree that lives for over 100 years. A good shade providing tree, all parts of the Jamun tree are useful in one way or the other. The tree grows well in tropical to sub tropical areas. The tree flowers with the onset of summer in March/April and bears fruit in May/June when it is hotter. The fruits’ skin is in various shades of purple, some almost black coloured. It ia an oblong shaped berry and the ripe berry has a deep purple flesh that colours the mouth and tongue for a few hours after it is eaten. Thr fruit tastes sweet and tarty with an astringent action. Ayurvedic and Unani systems of medicine use the fruit, seeds, bark, leaves etc to treat a variety of health problems. The wood is used for making cheap furniture, railway sleepers and as a foundation to instal motors in wells as the wood is not only strong but withstands moisture as well. It is also used to make agricultural equipments. The leaves are used to decorate marriage pandals. The seeds are used to make herbal teas for use by diabetics. The fruits are used to prepare vinegar, wines, jams, jellies, squashes etc. The seeds contain the glucoside jambolin which prevents the conversion of starch into sugar and this benefits by controlling blood sugar levels. They also contain many flavonoids, phenols and are rich in protein and calcium. It is a very good source of carotene, iron, folic acid, calcium potassium, magnesium,phosphorus and sodium. It has high levels of Vitamin C.
The sugars are in the form of glucose and fructose which hydrate, cool and refresh the heat stressed body. Jambuls are a rich source of antioxidants,and phytochemicals like anthocyanins, glucosides,ellagic acid, oxalic acid, kaemferol etc. The seeds and leaves contain essential oils. The following are some of the health benefits of jambul. Jambul is very good to treat Gout. Boil the bark well in water till the water thickens. Cool and apply this watery paste on the affected part to relieve pain and inflammation. In Diabetes, drink jamun juice and mango juice mixed in equal quantities. To remove body weakness, treat anaemia, increase memory and remove sexual weakness, take 1 tsp each of jamun juice, honey and amla juice everyday in the morning. Eating jamuns stimulates the liver and relieves bladder problems. To increase appetite and treat constipation take vinegar made of raw jamun fruits with equal quantity of water, twice a day. To treat stomatitis and mouth and teeth problems apply jamun juice and also drink it. For treating pimples, grind the dry seeds. Add some cow’s milk and apply on the pimples while going to bed at night. Wash in the morning. Continue for a few days. For diarrhoea, mix a little rock salt in jamun juice and drink. For Acidity, eat jamuns with black salt and roasted cumin seed powder. To maintain a healthy voice and relieve hoarseness, gargle with a concoction of jamun seeds boiled in water for some time and cooled. For those suffering from renal stones, eating powdered jamun seeds with yoghurt helps. For children suffering from bedwetting, give the child 1/2 tsp powdered jamun seeds with water 2 times a day for some days to stop this habit. Jamun stimulates the melanin making cells and thus helps in curing leucoderma. Risk of heart attacks can be reduced by eating jambul regularly as it prevents hardening of the arteries. To stop vomiting drink jamun juice. For boils and other skin disorders apply some jamun seeds mixed with a little oil on the affected area. Never eat Jambul on empty stomach. Never drink milk after consuming jamun. Do not eat them in excess as it may cause body aches and fevers. 4.When a person has cancer it indicates the person has multiple nutritional deficiencies. These could be due to genetic, environmental, food and lifestyle factors. a.Sugar is a cancer-feeder. By cutting off sugar it cuts off one important food supply to the cancer cells. Sugar substitutes like NutraSweet, Equal,Spoonful, etc are made with Aspartame and it is harmful. A better natural substitute would be Manuka honey or molasses but only in very small amounts. Table salt has a chemical added to make it white in colour. Better alternative is Bragg’s aminos or sea salt. d. A diet made of 80% fresh vegetables and juice, whole grains, seeds, nuts and a little fruits help put the body into an alkaline environment. About 20% can be from cooked food including beans. Fresh vegetable juices provide live enzymes that are easily absorbed and reach down to cellular levels within 15 minutes t o nourish and enhance growth of healthy cells. To obtain live enzymes for building healthy cells try and drink fresh vegetable juice (most vegetables including bean sprouts) and eat some raw vegetables 2 or 3 times a day. Enzymes are destroyed at temperatures of 104 degrees F (40 degrees C). e. Avoid coffee, tea, and chocolate, which have high caffeine. Green tea is a better alternative and has cancer-fighting properties. Water – best to drink purified water, or filtered, to avoid known toxins and heavy metals in tap water. Distilled water is acidic, avoid it. 2. Fever & Common Cold: The leaves of basil are specific for many fevers. During the rainy season, when malaria and dengue fever are widely prevalent, tender leaves, boiled with tea, act as preventive against theses diseases. In case of acute fevers, a decoction of the leaves boiled with powdered cardamom in half a liter of water and mixed with sugar and milk brings down the temperature. The juice of tulsi leaves can be used to bring down fever. Extract of tulsi leaves in fresh water should be given every 2 to 3 hours. In between one can keep giving sips of cold water. In children, it is every effective in bringing down the temperature. 5. Respiratory Disorder: The herb is useful in the treatment of respiratory system disorder. A decoction of the leaves, with honey and ginger is an effective remedy for bronchitis, asthma, influenza, cough and cold. A decoction of the leaves, cloves and common salt also gives immediate relief in case of influenza. They should be boiled in half a liter of water till only half the water is left and add then taken. 8. Children’s Ailments: Common pediatric problems like cough cold, fever, diarrhea and vomiting respond favorably to the juice of basil leaves. If pustules of chicken pox delay their appearance, basil leaves taken with saffron will hasten them. 9. Stress: Basil leaves are regarded as an ‘adaptogen’ or anti-stress agent. Recent studies have shown that the leaves afford significant protection against stress. Even healthy persons can chew 12 leaves of basil, twice a day, to prevent stress. It purifies blood and helps prevent several common elements. 14. Headaches: Basil makes a good medicine for headache. A decoction of the leaves can be given for this disorder. Pounded leaves mixed with sandalwood paste can also be applied on the forehead for getting relief from heat, headache, and for providing coolness in general. 16. Acts on nervous system: It act on nervous system providing them strength, relieves stress and helps in relieving pain. 17. It work as appetizer and promotes digestion by helping in secretion of digestive enzymes. 18. It helps in preventing flatulence and avoids constipated stool. 19. Tulsi juice drops are very effective in earache. 20. Keep powder of tulsi root in water for overnight and take it early morning for diabetes natural cure. Fish is a superfood. Packed with vitamins and minerals, and a major source of omega-3 fatty acids, fish can help to protect against a range of diseases, from cancer to heart disease, depression to arthritis. No wonder the Government wants us all to eat more, with the Food Standards Agency recommending at least two portions a week of fresh, frozen, or tinned seafood (one of them of oily fish). The British Heart Foundation says eating oily fish can help to reduce the risk of heart disease and improve your chances of survival following a heart attack. Fish does this by lowering levels of fats called triglycerides in the blood – raised levels are associated with heart disease. Fish oils also appear to help reduce blood clotting and abnormal heart rhythms after a heart attack. Polyunsaturated fatty acids found in many fish may prevent damage to brain cells. Eating fish can also reduce the risk of high blood pressure, which is linked with dementia. A French study of 2000 people showed that those who ate seafood at least once a week had a significantly lower risk of dementia over a seven-year period than those who didn’t. A Swedish study of 6000 men over a 30-year period showed that those who didn’t eat any fish had between double and treble the risk of developing prostate cancer, compared to those who ate moderate or large amounts. Shellfish, such as crab and lobster, also contains selenium, thought to have cancer-fighting properties. It’s been reported that fish can help to ease depression. Again, it’s down to omega-3 fatty acids, which are believed to raise levels of the brain chemical serotonin. Population groups that eat a lot of fish – Inuits in Greenland, for example – have low rates of inflammatory conditions such as arthritis. Studies have also shown fish oils to be useful in relieving the symptoms of rheumatoid arthritis. According to research carried out in Mauritius, children given lots of fish from the age of three are less likely to have criminal records by the time they reach 23. White fish like cod are a good source of low-fat protein and minerals. Oily fish such as sardines, pilchards, salmon and mackerel have the highest concentrations of omega-3 fatty acids. Crab, lobster and mussels come into the shellfish group and contain selenium, thought to have cancer-fighting properties. The bottom line here is to eat fish in moderation. At most of the occasions, you cannot avoid but land up holding a glass of wine or whiskey. This is more common among working professionals and friends. In official meetings or at parties, you will look odd without holding a glass of alcohol. This social practice can be harmful at times as many people can get addicted to alcohol. Alcoholism is an addiction towards alcoholic beverages. Most of the people especially youth are getting into this addiction. In worst cases, these addicts cannot stay without drinking alcohol for even a single day. Those who are considered alcoholic do not even get sleep if they do not take a sip of their regular alcoholic beverage. Alcoholism affects you, your health, and relationships. 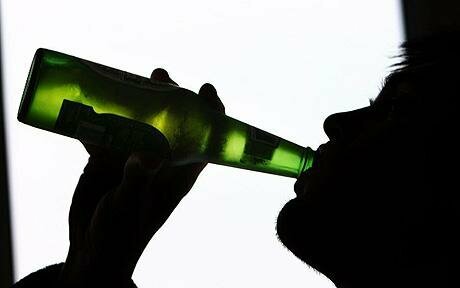 If you are used to drinking every other day, they you need to check if you are turning into an alcohol addict. Here are few warning signs that you need to check. These signs will help you know if you are turning into an alcoholic or not. You started drinking with one peg and now you are drinking more than a quarter. If you have increased the consumption of alcohol, then it is a sign of alcoholism. Even after drinking more than others, you still have the capacity to stand up and walk down home alone! If you are strong enough to gulp down more than others, it is a clear sign that you are becoming an alcoholic as your body is adapting to the presence of alcohol. If you inculcated the habit of drinking every day, it is a clear sign of alcoholism. When you start looking for opportunities or reasons to drink, it shows that you are getting addicted to it. When you start hiding the fact from others and yourself, it is a warning sign of alcoholism. When alcoholism takes its toll on you, you get completely obsessed with it. Without drinking even a single glass of alcohol, you feel frustrated and constantly start consoling yourself. Having a can of beer in the car just to get over stress is just an excuse to gulp down some chilled alcohol. When you start drinking without any occasion, it is a sign of alcoholism. Drinking any time of the day is one of the signs of alcoholism. However, when you drink a glass early in the morning to get over hangover, your body is adapting to alcohol and you start thinking that it works! This addiction worsens the situation. These are few signs of an alcoholic. If you are facing them then you need help immediately. Consult your doctor and get over this addiction before you go crazy and spoil your health. 1.Eggs are great for the eyes. According to one study, an egg a day may prevent macular degeneraton due to the carotenoid content, specifically lutein and zeaxanthin. Both nutrients are more readily available to our bodies from eggs than from other sources. 2.In another study, researchers found that people who eat eggs every day lower their risk of developing cataracts, also because of the lutein and zeaxanthin in eggs. 4.According to a study by the Harvard School of Public Health, there is no significant link between egg consumption and heart disease. In fact, according to one study, regular consumption of eggs may help prevent blood clots, stroke, and heart attacks. 5.They are a good source of choline. One egg yolk has about 300 micrograms of choline. Choline is an important nutrient that helps regulate the brain, nervous system, and cardiovascular system. 6.They contain the right kind of fat. One egg contains just 5 grams of fat and only 1.5 grams of that is saturated fat. 7.New research shows that, contrary to previous belief, moderate consumption of eggs does not have a negative impact on cholesterol. In fact, recent studies have shown that regular consumption of two eggs per day does not affect a person’s lipid profile and may, in fact, improve it. Research suggests that it is saturated fat that raises cholesterol rather than dietary cholesterol. 8.Eggs are one of the only foods that contain naturally occurring vitamin D.
9.Eggs may prevent breast cancer. In one study, women who consumed at least 6 eggs per week lowered their risk of breast cancer by 44%. 10.Eggs promote healthy hair and nails because of their high sulphur content and wide array of vitamins and minerals.